Polymax foam rubbers engineered to withhold their cellular structure, various applications involving resistance to ozone and weathering. 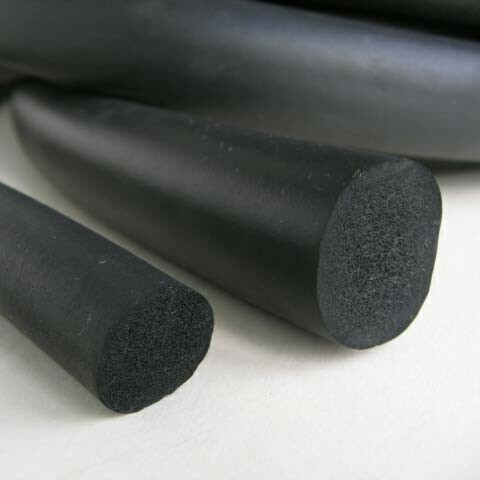 When your application requires the rubber to withstand atmospheric conditions; ozone, sunlight UV, ageing, moisture, Polymax EPDM Rubber Cord is most suitable. Often utilised for draft exclusion of windows, doors and floorboards. Polymax EPDM Sponge can be compressed by almost 90% of its original profile. These flexible properties allow this cord to be compressed into floorboard and gaps much smaller than its original form by stretching it during the installation process.